Home Instruction for Parents of Preschool Youngsters (HIPPY) is a kindergarten preparatory program designed to strengthen the parent’s role as their child’s first and best teacher. Home visits occur weekly with parents of children ages three to four years old and bi-weekly for children age five. During the visit, parents are given curriculum and accompanying story books and practice delivering the material to their children. 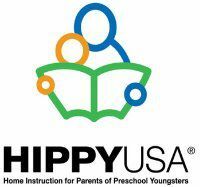 Parents are encouraged to spend 15 to 30 minutes each day teaching and participating in the activities covered by the HIPPY curriculum with their children. Research clearly shows that a child’s brain grows at an extraordinary pace in the first six years of their life and thus lays the foundation for lifelong development. It is truly important to take advantage of this crucial time because the human brain has the highest potential for new learning. Appropriate early childhood programs not only help a child’s brain development, they also contribute to physical, emotional, and social development. Early Education in high quality settings like Family Daycare homes recognize that learning in the early years is critical to a child’s lifelong development and is geared to give children a jump-start in learning and prepare children for kindergarten. The goal is to ensure children are ready to learn on their first day of school. High quality programs improve school performance; raise math and language abilities, sharpen thinking/attention skills, lower school dropout rates, improve and strengthen interactions with peers, encourage more exploratory behavior, and prepares children to succeed in school. Long-term Early Childhood programs increase lifelong earning potential, lower rates of teen pregnancy and incarceration, enable students to have higher earnings, lower the crime rates, and increase high school graduation rates. The program accepts referrals from any Campbell, Kenton, and Boone County residents for the academic year beginning each year in September. Interested parents and other referral sources are encouraged to call Jamie Coyle at (859) 491-8303 Ext. 2011.